Joining me today is Noelle Parton. 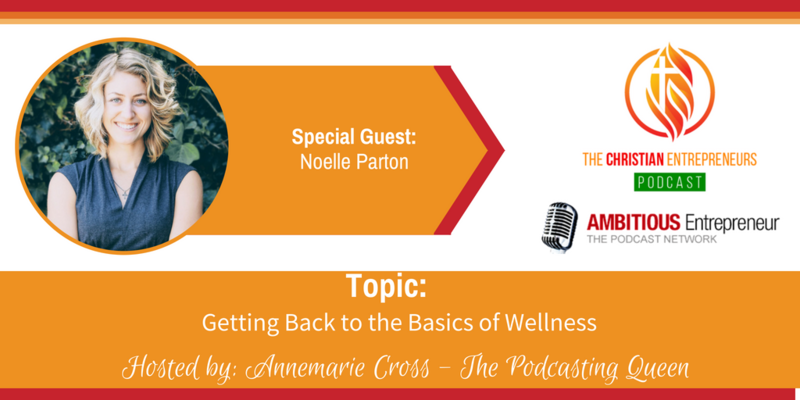 Noelle is a nutritionist, health coach, and exercise physiologist with a Masters in nutrition for wellness. Through Noelle’s own health journey, God poured into her a passion to wake up the Church, stirring the Body to recognize the need for being physically well. 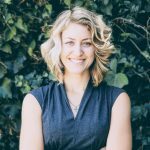 She focuses on getting back to the basics – simplifying all facets of wellness to empower people to live an abundant life through whole, plant-based eating and an intentional, sustainable lifestyle. We are to glorify and honor God with every part of our lives – including how we eat and take care of our bodies. Don’t compare your beginning to someone else’s middle or end. God wants to do it different. I don’t have to see tomorrow or 10 years from now, I just need to see God. I am a nutritionist, health coach, and exercise physiologist with a masters in nutrition for wellness. My business, which I am just launching, will be connecting nutrition and wellness to faith as a follower of Christ through a simple and intentional lifestyle. The main aspects to my business include establishing an online community, speaking and writing through various forms, in-person food demos/classes, and working with missionaries. Through my own health journey, God poured into me a passion to wake up the Church, stirring the Body to recognize the need for being physically well. I focus on getting back to the basics – simplifying all facets of wellness to empower people to live an abundant life through whole, plant-based eating and an intentional, sustainable lifestyle.